© Provided by NBCU News Group, a division of NBCUniversal Media LLC The old U.S. Embassy building in London's Mayfair district. Never say the State Department doesn't look after your tax dollar. 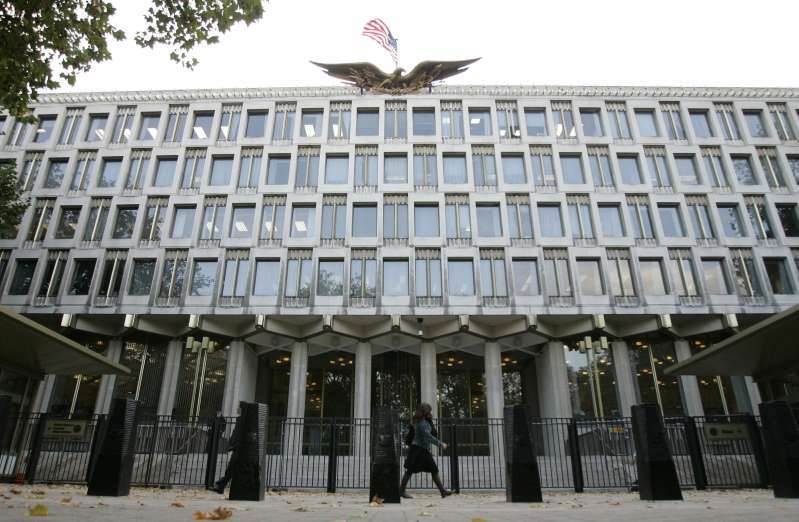 The U.S. Embassy in London, which recently moved to a new $1 billion glass cube overlooking the River Thames, is holding an online auction of surplus items otherwise destined for the trash tip. [post_ads]Bidders have until Aug. 8 to secure up to 40 lots, but anyone hoping to own a prestigious piece of embassy history may be disappointed. Items on sale include plastic stacking chairs, broken vacuum cleaners, a scratched coffee table … and 1,200 toilet rolls. The unusual clear-out follows the diplomats' departure from their old building, a modernist 1950s block in Mayfair. Items up for grabs in the London auction range from a 2007 diplomatic Volvo S80 (bid price $8,395) to a scrap-ready office copier ($72). The toilet rolls, sold as a single lot, cost $199. If none of that appeals, the U.S. Embassy in Armenia is planning to sell two used rugs ("dirty with stains") for $20 each.